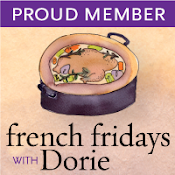 This week’s French Fridays with Dorie challenge is for Crab-Avocado “Ravioli” which is essentially a layered salad. The recipe calls for slicing whole avocados with a mandoline and carefully removing the skin and pit. I had no confidence in my ability to do that given how soft and slippery ripe avocados are and that my husband sometimes declares “no sharp object” days for me when I’ve had a particularly trying day at work. I intended to cut the avocado in half and fill each half with crab salad…but fate had other ideas when I cut into a not-so-perfect avocado. 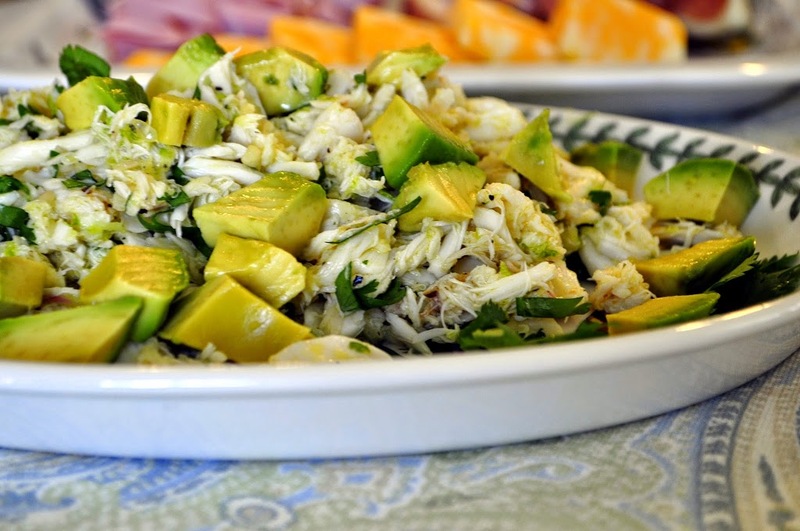 So, we served our delicious crab salad on a platter with diced avocados scattered over the top as part of a smorgasbord for a light summer dinner. We used Blood Orange Olive Oil which totally enhanced the bright citrus flavors of this wonderful salad. Of course, it was so rich that we had plenty leftover. So, tonight’s dinner was a fabulous Crab Risotto with Artichoke Hearts! To see what Crab-Avocado “Ravioli” are supposed to look like, click here. We loved this salad and are sure to enjoy it again, soon! Both salad and risotto looks very yummy! I have a feeling we will be seeing many non- ravioli versions this week 🙂 Just a hunch. 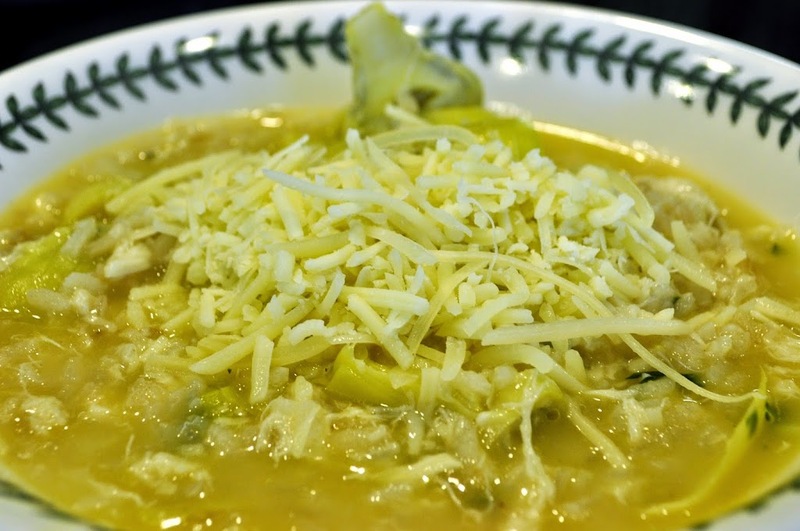 Love your version of the crab-avocado ravioli…and the risotto looks and sounds wonderful! Have a great weekend, Susan! Oh wow, love your salad and the risotto! Looking forward to next week’s recipe! 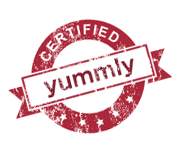 Ooooh…love the sound of the blood orange olive oil, and also of the risotto. That sounds so good! I love your comment about “no sharp objects allowed” days – I can totally relate! I did make the “ravioli” for this one, but I agree that a salad is just as nice. Your smorgasbord looks wonderful! I love your salad – it looks fresh and delicious – trade you my “ravioli”? I have been into flavored olive oils and vinegars. The blood orange sounds amazing on this salad. Great salad! I’m hoping to locate crab soon and try this one. Maybe next weekend when I’m in Santa Monica. Are you up for trying to catch late morning coffee or brunch on Saturday? Both your crab salad and crab risotto are wayyyy better than blood and tears and avocado pits gone astray. I am surprised that Dorie would put this recipe in her book. On some level it is dangerous. Very nice presentation of our FFWD recipe choice and very delicious-looking and creative use of leftovers. I love the idea of “no sharp object” days. I’m surprised my husband hasn’t instituted those for me yet…Blood orange olive oil sounds amazing.